I have a back condition called Spondylolisthesis and I haves suffered through back pain because of rowing and playing hockey in college. I bought the Mirra chair because it is very good at taking the strain off of my lower back when I am at my computer and studying. After trying the other Herman Miller chairs, the Liberty Chairs, and the Humanscale Freedom I found that the Mirra chair is the most comfortable for me. It’s as comfortable as the Aeron chair but doesn’t have as many knobs. 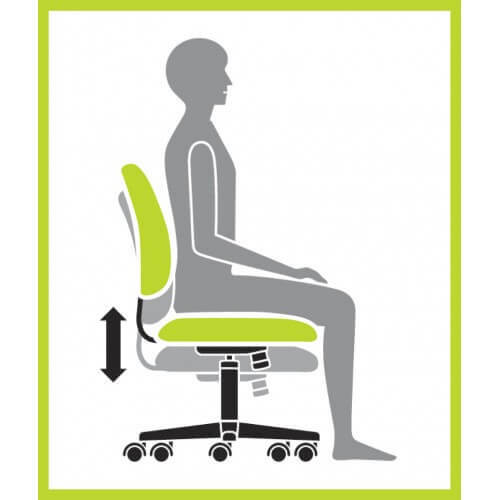 The back and the seat are very flexible so the chair adjusts well to your body. The chair looks great and has the right lumbar support that I need. This chair has a very nice look to it when you compare it to the Aeron. This chair is quite beautiful while the Aeron is a bit standard looking. The Mirra chair is adjustable for everyone whereas the Aeron has size A, B, and C which can be confusing. Herman Miller suggests getting the B chair with the Aeron but this doesn’t fit everyone and you are always left wondering if you got the right size or not. With the Mirra chair there’s just one size and it makes picking your chair easier. The Mirra chair is a bit cheaper if you buy the right one but this really isn’t much of a factor as both chairs cost about the same. The Aeron feels a bit harder and it’s almost feels like you’re sitting on a lawn chair if you’re a smaller framed person. The Mirra in my opinion seems to be better for those that are smaller. The mesh seat on the Mirra is harder than the Aeron but it seems to be more comfortable. 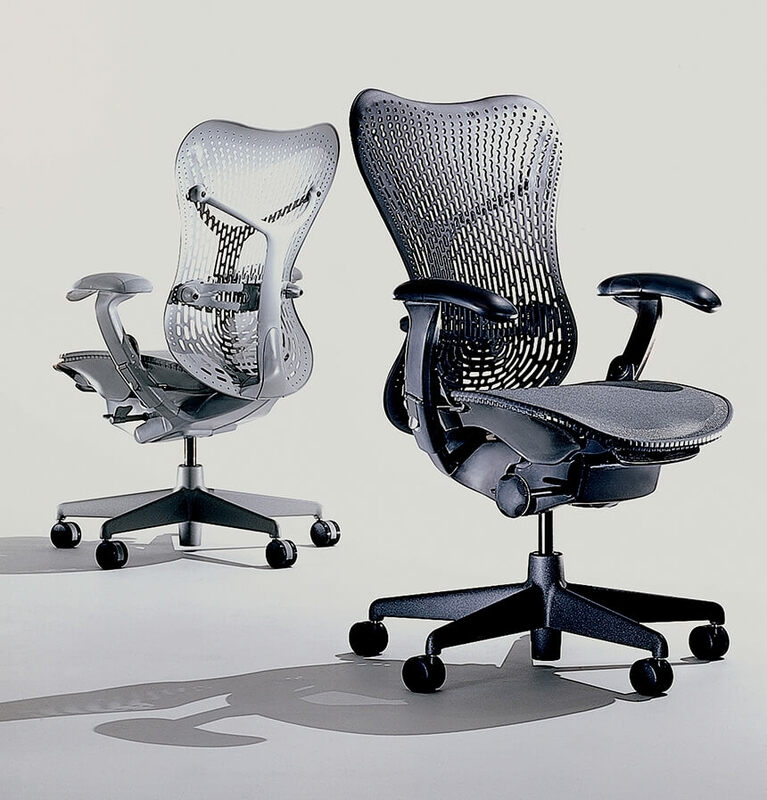 There’s more flexing and structure with the mesh back on the Mirra chair than on the Aeron. You’ll need to adjust your chair with a forward tilt on the Mirra so you don’t feel the edges on the seat which stick up a bit more than the edges on the Aeron chair. This chair is very comfortable when you recline in it making it a greаt ergonomic chair for reclining. The chairs recline mechanism keeps your feet on the floor with the Mirra chair which is rare in high-end ergonomic chairs. The recline-stop only has three positions so this is a negative feature of the recline ability of this chair. 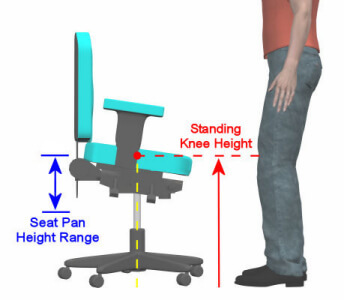 You can lean back slightly in the chair even when you’re mostly upright due to the good tension in the chair. The seat pan on this chair moves with the back and it only opens up your sitting position a small amount which can be a bit uncomfortable. After some measurements it appears this is only 20-30 degrees so it’s not as much movement as other chairs but still comfortable. My chair had some loose screws in the back which was a bit wobbly and a bit annoying but it doesn’t take away from the fact that this is a great chair. One problem with the chair is the seat. In the rear-end portion of the seat the mesh is fine but in the hamstring area the mesh doesn’t have as much depth and flex as the other parts of the mesh on the seat. Pressure tends to push up on your hamstrings and you will notice this over time as you sit on the chair. This tends to cut off your circulation to the point where you really notice it. The back on the chair looks great and it’s made out of hard plastic and it has some flex to it. 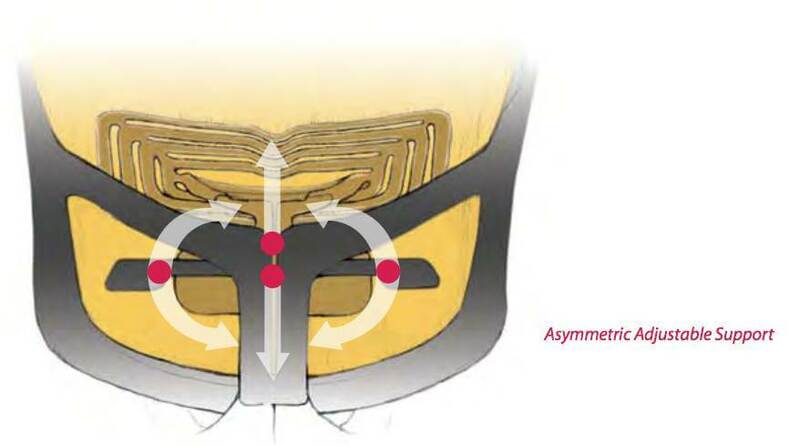 The main problem is that there are stress points and pressure that aren’t even on your back. So you will get weight on your lower back and shoulders but less on other parts of your back. You can feel poked by these points on the chair over time. You tend to notice this more if you’re a lighter person. The back of this chair isn’t as good with distributing your weight and pressure like the Aeron chair can with its soft mesh. The Mirra Chair is a great chair to own and it has some good features to it. The chair looks amazing and it’s easy to adjust to the chair without worrying about if you purchased the chair size like occurs with the Aeron chair. The Mira has a good back and most will find the chair very comfortable to sit in. Like all chairs you’ll have to do some comparisons yourself and find a chair that works for you. I enjoy my Mirra chair but others might have other opinions on the chair. It’s best to look at several chairs and then pick the best one for your individual needs. I found that the Mirra Chair has great lumbar support for my needs and I am very happy with the purchase of this chair. It might not be suitable for people who are smaller framed but for someone who is average this chair will provide you with the comfort that you need in a good desk and office chair. It’s perfect for studying; using your computer, and other tasks wherе you need to sit for a long period of time. 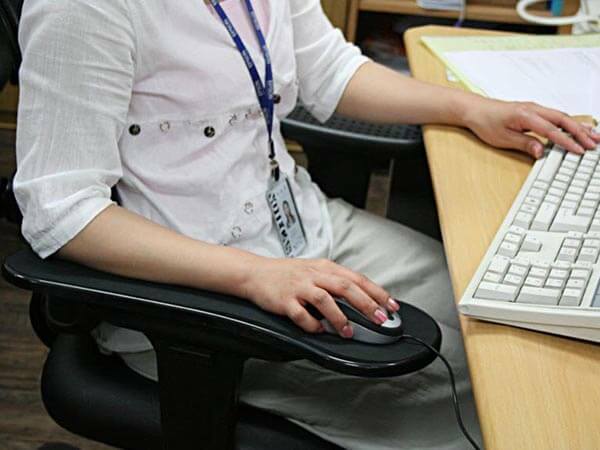 My best advice is to adjust your ergonomic Mirra chair to suit the way you like to sit and try the chair ion different positions until it feels right to you. It might take you a little time to get used to this chair and the way it feels when you sit in it. I can recommend this chair for anyone who is looking for a comfortable chair to work in.